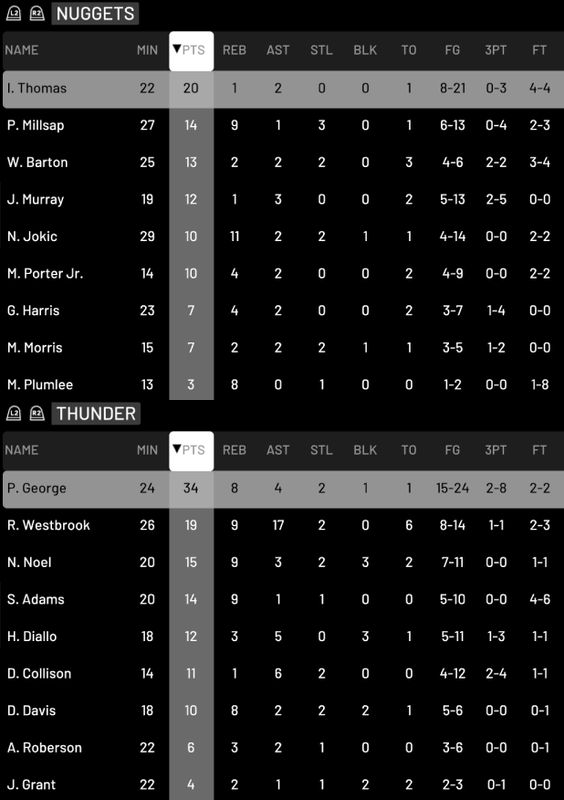 Seems like George is emerging as the star in games you play, while Westbrook is the star in simmed games. Oklahoma City Thunder general manager Sam Presti completed another move today by sending point guard Dennis Schroder to the Indiana Pacers in exchange for Darren Collison and the right to swap first round picks in 2020. The German was acquired by the Thunder back less than three months ago in the trade that saw Carmelo Anthony leave. For the Pacers, this move seems to be an attempt to save their season. 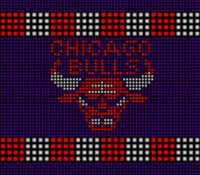 They currently sit second-to-bottom in the Eastern conference with a 10-18 record, but are crucially only 3 games behind 8th placed Washington. They have severely lacked creativity at the offensive end this season and adding Schroder could help solve that problem. Darren Collison was their leading playmaker and he was only averaging six assists per game. Head coach Nate McMillan will be happy to have some more offensive firepower to help out Victor Oladipo. 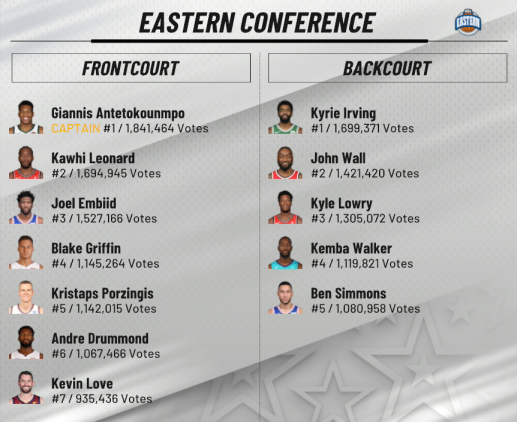 The 2018 all-star is the only Pacer averaging over 15 points per game currently. 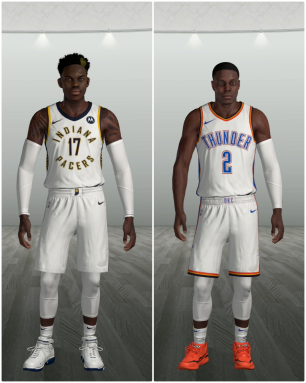 Although there is always a risk involved with trading future draft picks, the Pacers will be aiming to be a strong playoff team next season, so the gap between themselves and the Thunder in the first round could be minimal. It's a calculated risk. At best they are only giving up an expiring veteran and a few spots in the draft order. At worst, this will cost them a high lottery pick. On paper they should be a playoff team with a solid core of Victor Oladipo, Myles Turner, Domantas Sabonis, Dennis Schroder, Tyreke Evans, Thaddeus Young and Bojan Bogdanovic. The latter three are on expiring contracts, but that just means that Indiana could have around $40 million to use in free agency next season. Maybe they will lure Kawhi Leonard back and correct the mistake they made on draft night in 2011. Oklahoma City agreed to this trade mainly for financial reasons. Schroder is due another $46.5 million over the next three years, whilst Collison is on an expiring contract. Moving Schroder will make a sizeable difference to the Thunder's future luxury tax penalties. With their star trio of Russell Westbrook, Paul George and Steven Adams earning a combined $90.4 million this season, $97.4 million in 2019-20 and $104.3 million in 2020-21, the Thunder are locked-in to having one of the highest salary totals in the league. Although Collison was acquired mainly due to his expiring contract, he will still be a useful piece off the bench for Oklahoma City. They will be more than happy if he can continue averaging 9 points and 6 assists per game for the rest of the season. It's funny how life works. Back in college at UCLA Collison was the starting point guard and Russell Westbrook was his backup. 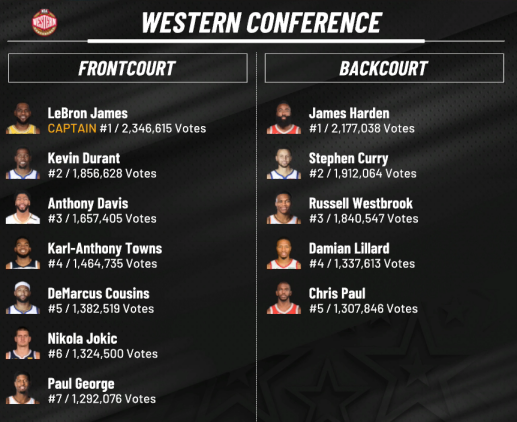 Now the roles are reversed and Westbrook is a star of the league. Swapping first rounders with the Pacers next season could possibly land Oklahoma City a lottery pick, which is something they have only had twice since drafting James Harden with pick 3 in 2009. And whilst the likes of Hamidou Diallo and Terrance Ferguson look promising, the Thunder could really do with a top-end young prospect to take over once Westbrook eventually retires. 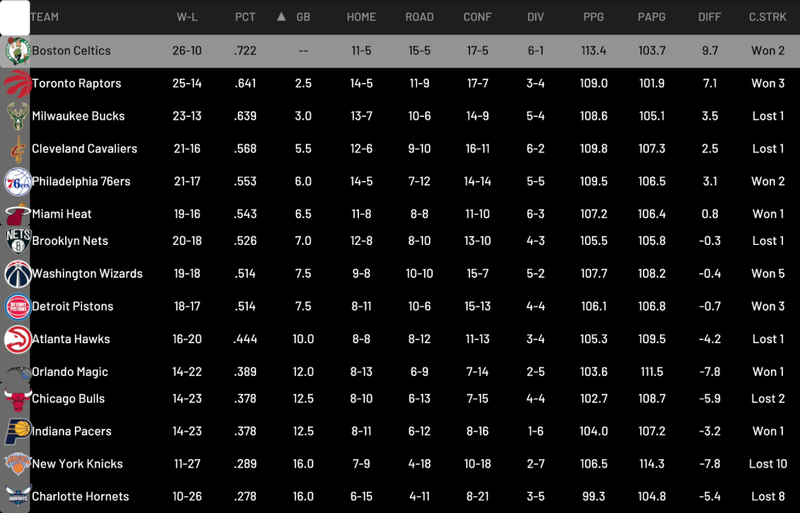 The Thunder currently sit in third place in the Western conference with a 20-6 record. 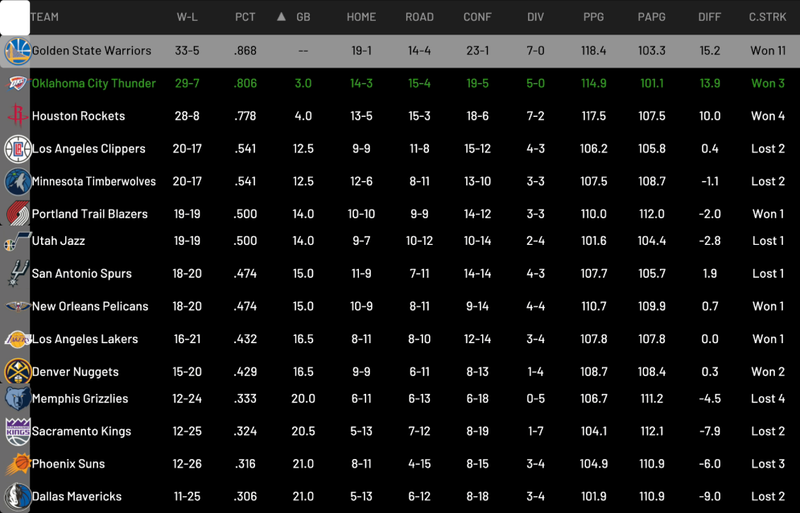 Golden State lead the way, just 2.5 games ahead of Oklahoma City. Interesting deal... hope it pans out! He definitely seems expendable, especially with that contract. cavs4872 wrote: Interesting deal... hope it pans out! Andrew wrote: He definitely seems expendable, especially with that contract. We literally have no cap room for the next few seasons, so dumping Schroder's contract probably didn't matter as much as in real life. But I would like to get access to the top end of the draft at some point and this pick swap might allow us to do that. I'd like to inject some more young talent onto the roster. Man, those Nuggets are definitely falling short of their real life counterparts! You're rolling, though. 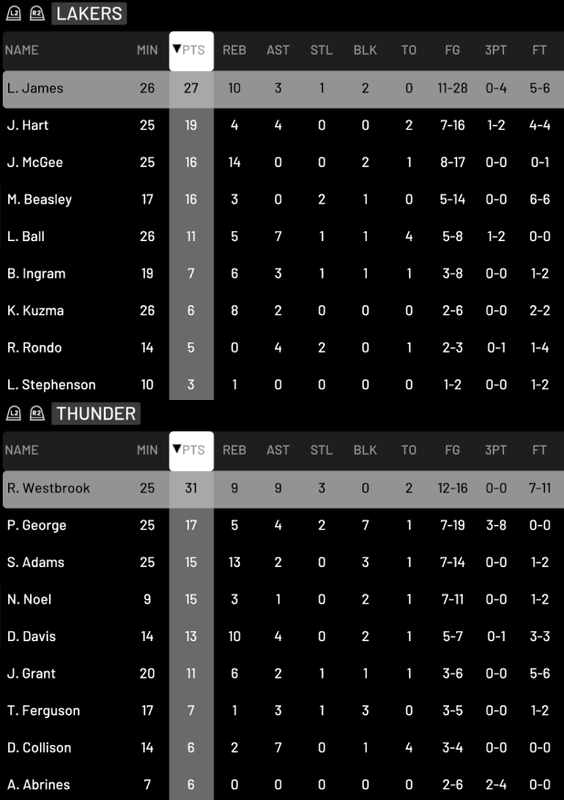 Westbrook was insane in the first half. 27pts, 3reb, 8ast, 10stl (13-14 fg). Poor Arcidiacono just kept getting his pocket picked and giving Westbrook a clear path to the basket. This was probably the best individual game I've had from a player. 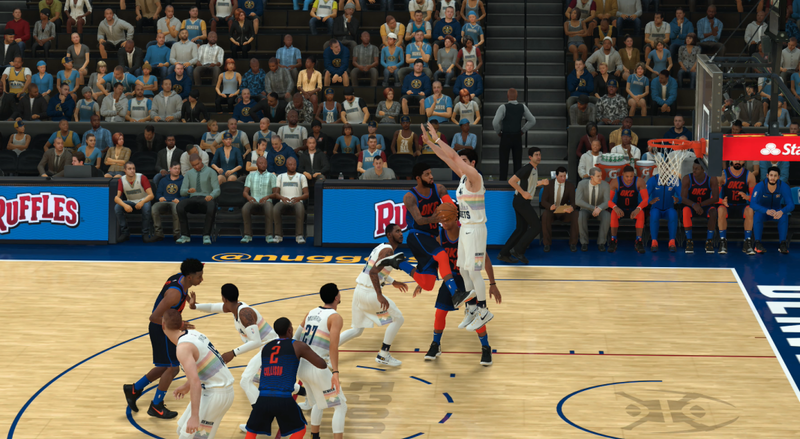 I was just in the zone with his passing and grabbing steals. Andrew wrote: Man, those Nuggets are definitely falling short of their real life counterparts! You're rolling, though. It's puzzling why they are so bad. Jokic did miss a few weeks with injury, but they really shouldn't be this far out of the playoff race. 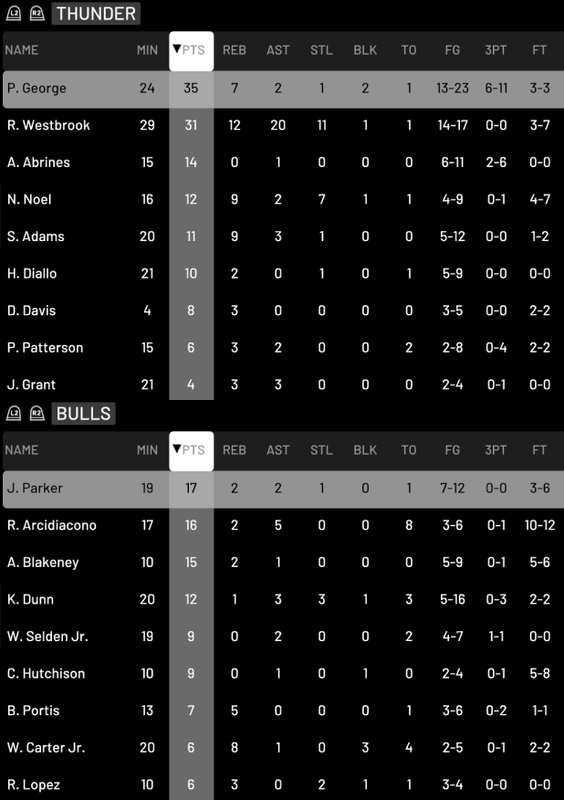 Awesome effort to get the quadruple-double! I wonder if the real Westbrook will achieve that at some point. 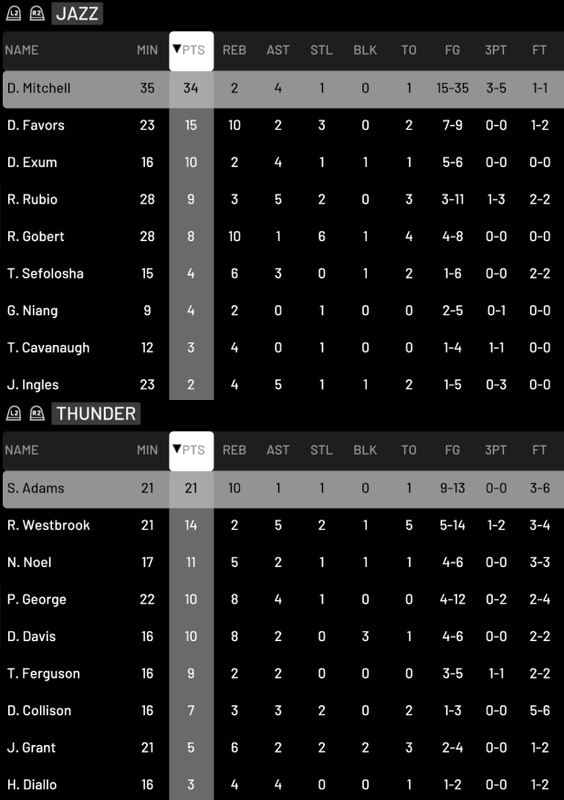 Andrew wrote: Awesome effort to get the quadruple-double! I wonder if the real Westbrook will achieve that at some point. He had 21p/7r/7a/8s back in 2010 against the Warriors. That was probably the closest he has come to a legitimate quadruple-double. I also found two triple-doubles where he had 5 steals and four times where he had a triple-double with 10 turnovers. Definitely. 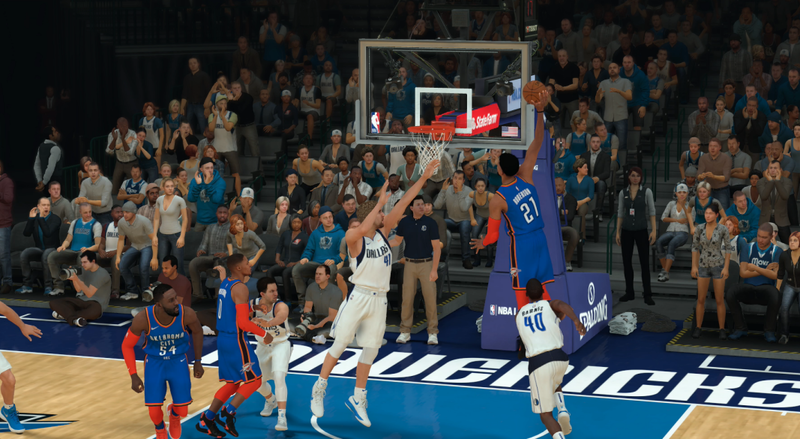 Though funnily enough, in a MyCAREER game I feel short of a quadruple-double (it would've been my second of the season) by one rebound. Generally speaking though, steals and blocks are much harder to get on a whim. Always fun when someone else steps up to be the hero. 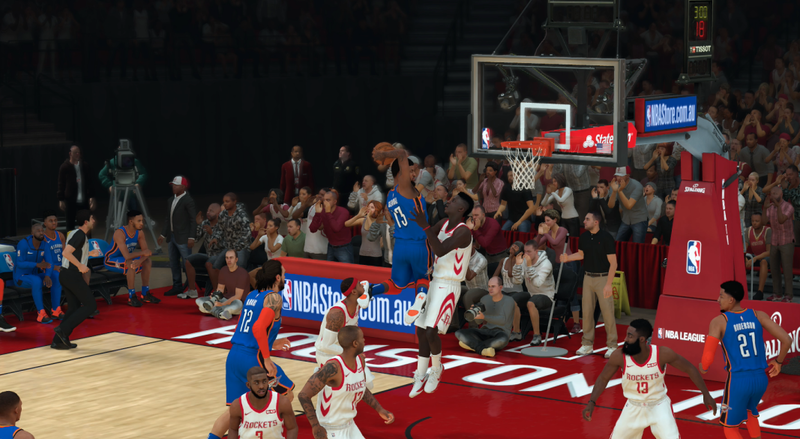 Love that pic of George gliding through the air - super fun player to use, like T-Mac. You picked a fun team. 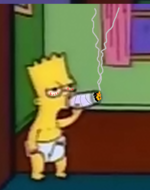 This loss is entirely on me. 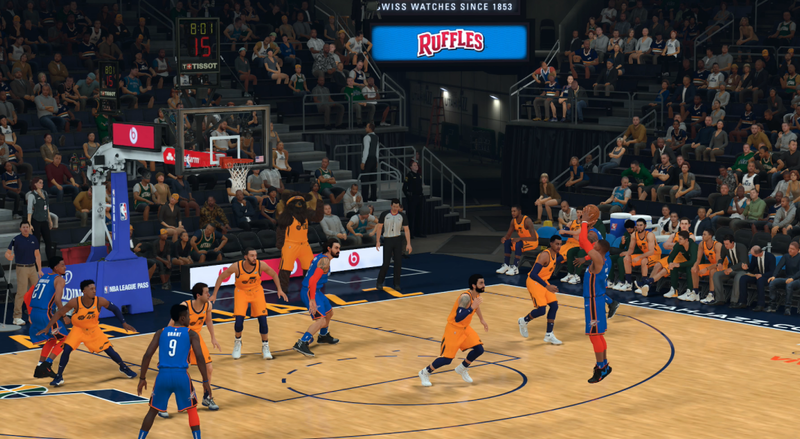 We were up by a point and all I had to do was inbound the ball to Paul George, as they were deliberately fouling in the final seconds. I made a dumb pass, which they intercepted and then scored from to take back the lead. George then missed a tough shot from the corner to win it. I'm quite annoyed with myself. Andrew wrote: Always fun when someone else steps up to be the hero. Adams really saved us in that game. 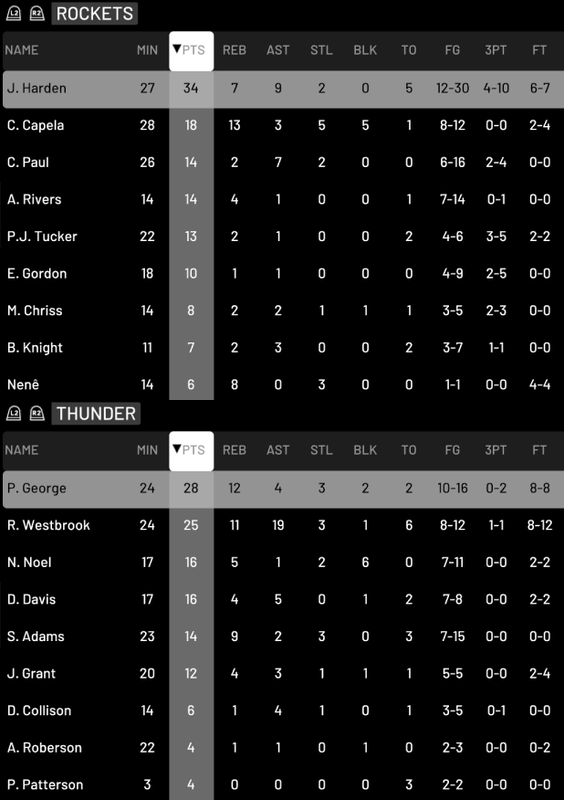 Westbrook and George just couldn't hit anything at all. cavs4872 wrote: Love that pic of George gliding through the air - super fun player to use, like T-Mac. You picked a fun team. He is definitely a smooth mover. It's especially fun when you get on a roll with him from three-point range. When he is in the zone he can make scoring look pretty easy. Your format is aesthetic man, really easy to follow this story. Tough loss though that one would make me want to punch a wall lmao. tacitus kilgore wrote: Your format is aesthetic man, really easy to follow this story. Tough loss though that one would make me want to punch a wall lmao. Thanks. I try to keep things simple for people to read and also simple for me to put together. I'm too lazy to spend time making fancy graphics so it's good that I can just use screenshots from the game. Adams with a couple of beastly performances as of late. That loss does sound really frustrating. 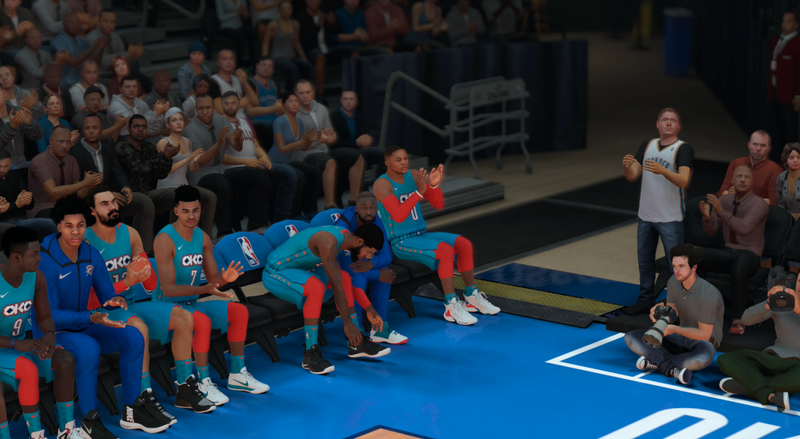 If it's any consolation, I think we've all made errors like that from time to time, and we even see it in the real NBA too. So if nothing else, it's realistic! 27/12/18 - Orlando fired head coach Steve Clifford. Hired Michael Stauffer to replace him. Last edited by Phil89 on Wed Feb 13, 2019 5:18 pm, edited 1 time in total. 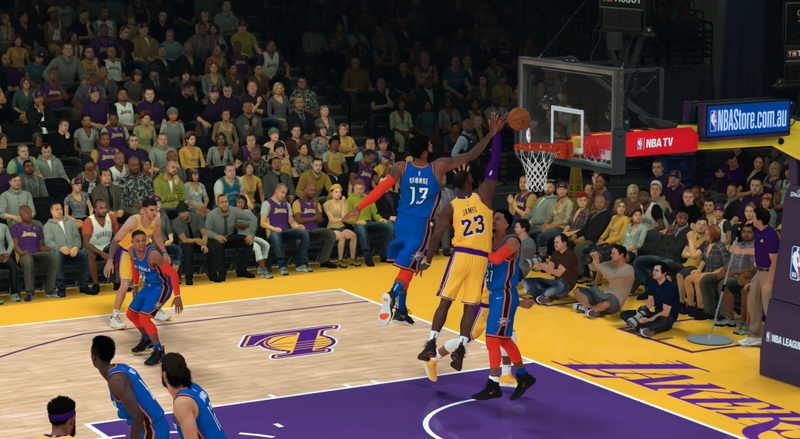 You've definitely got virtual Westbrook playing like his real life self!